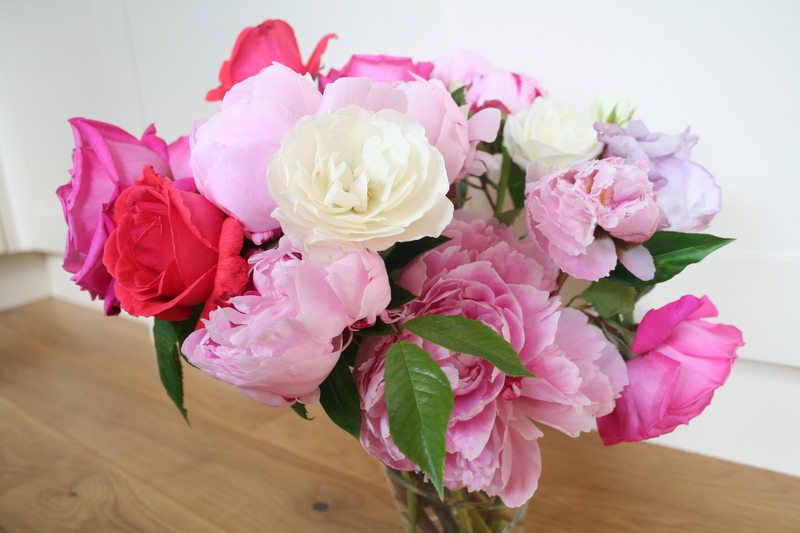 Lovely arrangement of Peonies and Roses. Fresh and vibrant; like your poetry. A shame, Shriram I agree… but seasonally three/four weeks late for that here – they tend to come with a great rush in woodland areas especially and then just melt away shortly before the first rose appears! Beautiful! I wish I had them sitting in the center of my table right now! Beautiful! Ah! The layers of pink, a shot of red and a divine dot of cream in the centre. Breathtaking and utterly fresh! Thank you Scott! Very cheerful –just right for a warm and sunny day. ah they are a beaut…fresh out your own? Beautiful and lovely! I love the roses!